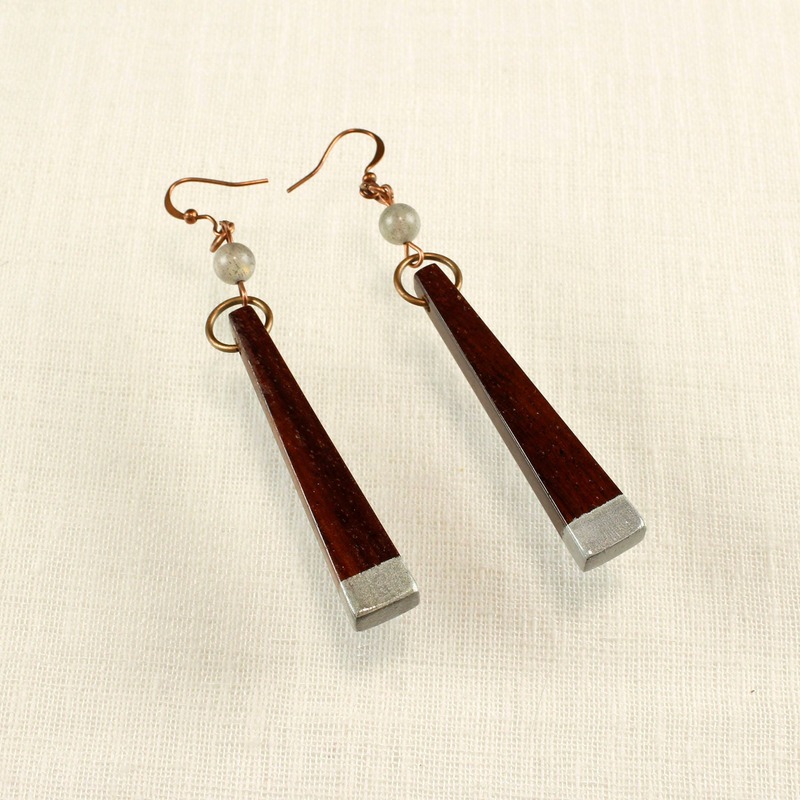 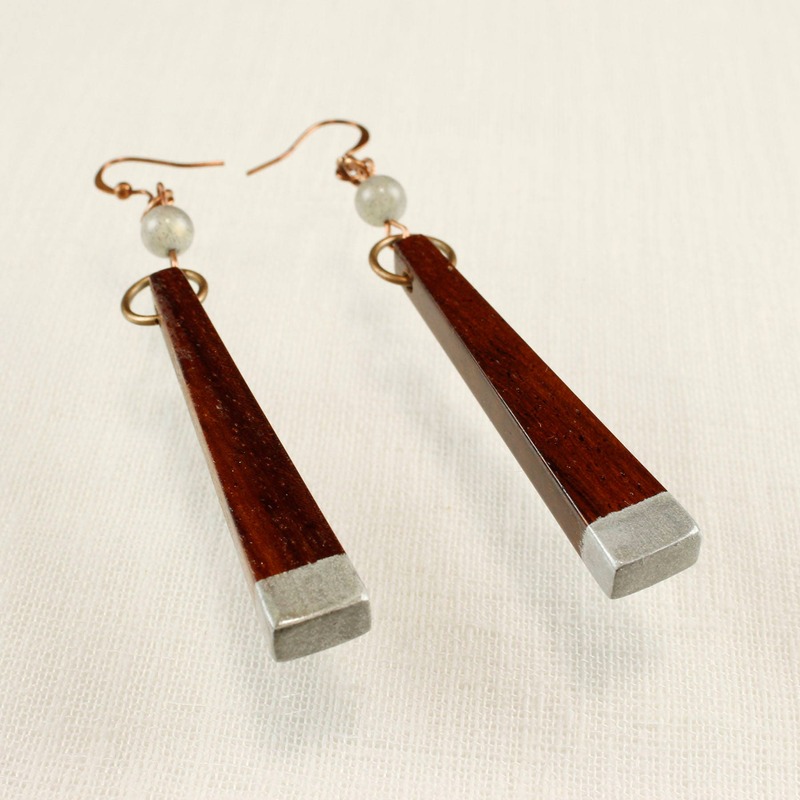 Dark wooden dangle earrings, handmade from reclaimed rosewood and accented with silver enamel. 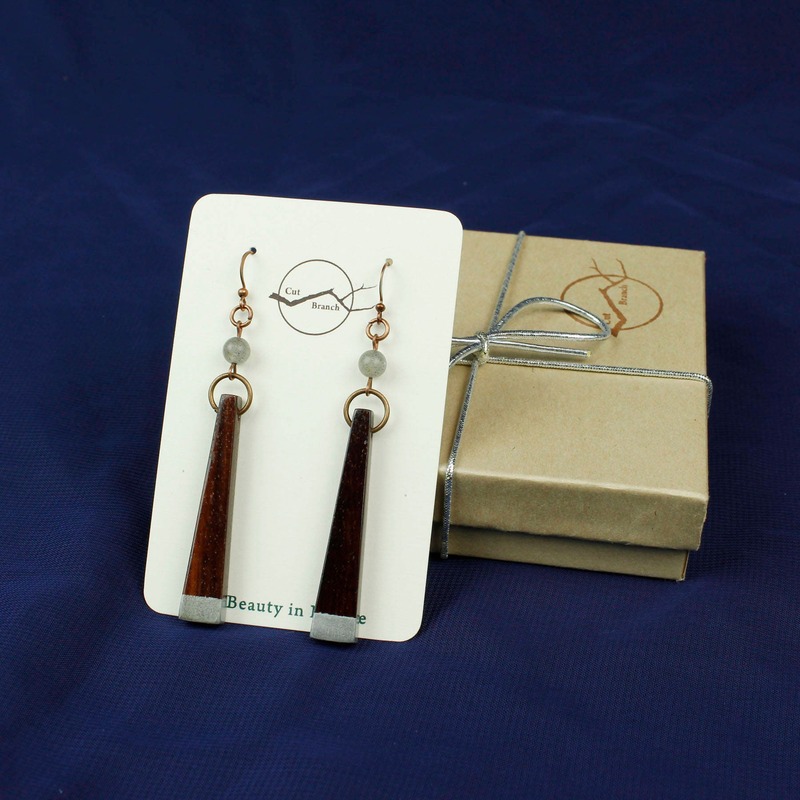 • Ready To Ship! 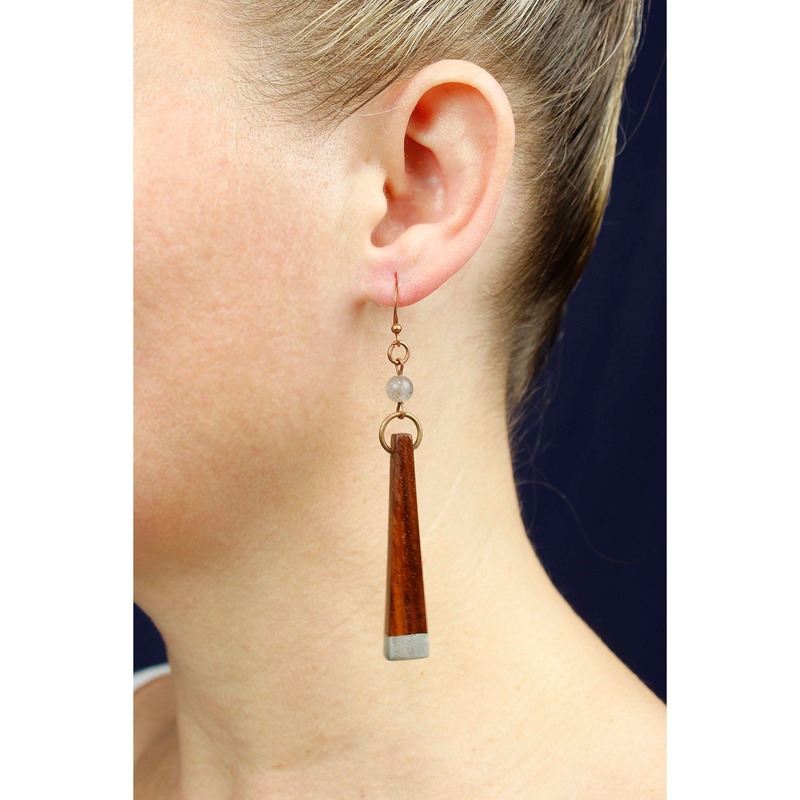 NO Waiting, the earrings you see above are the exact pair you will receive.